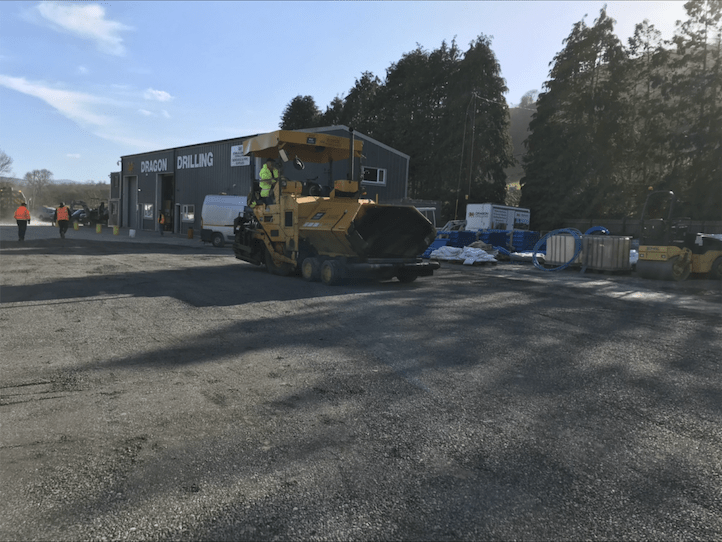 Dragon Drilling has this week begun an exciting expansion of its headquarters in North Wales in preparation for the busy summer months. The three acre site has been redeveloped to allow greater capacity for the expected demand. Chairmen Geoff Ellison explained ‘Last year the summer demand was unprecedented given the weather conditions. By acting now and ensuring our head office is ready and capable of allowing more work to be carried out we put ourselves in the best possible position to fulfil our customer needs’.